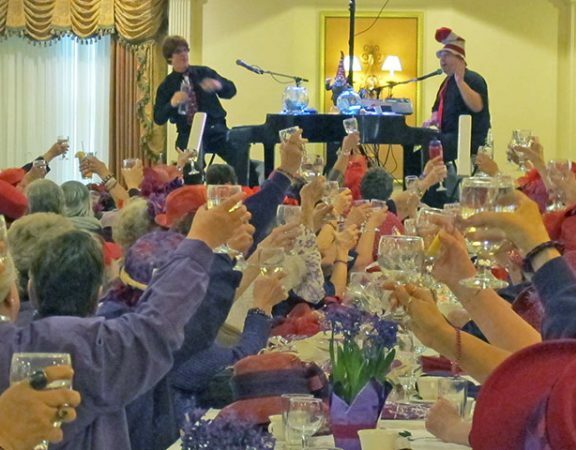 Come and enjoy a day of shopping, good food, great entertainment and fun with your Red Hat friends at Zehnder’s on April 29, 30 and May 1, 2019. • Shopping Discounts, Door Prizes & More! J. Cavataio is a classy Modern-Day Crooner with an upbeat pop twist. He captivates audiences with vocal impressions of original songs by Josh Groban, Michael Buble, Dean Martin, Barry Manilow and Frank Sinatra. He is known for his emotionally expressive tenor to baritone voices and has performed with Marvin Hamlisch, Chuck Berry, Judy Collins, Anne Murray and Jerry Lee Lewis among others. Click here to download a printable flyer. Cost is $48 per person and includes lunch, tax, tip and entertainment. Reservations required. Call (866) 575-4537 for more information or for reservations. 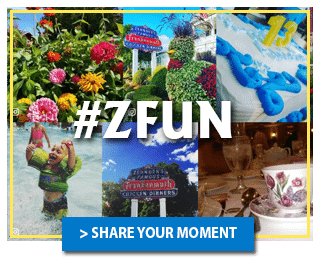 Enjoy a day of shopping, good food, great entertainment and fun with your Red Hat friends at Zehnder’s on April 23, 24 and 25, 2018.